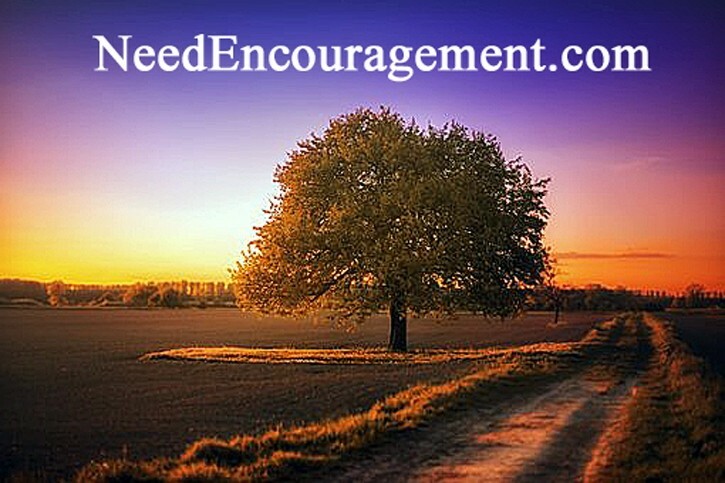 Devotionals That Guide Us Daily – Click Here! A great way to start your day is by reading devotionals; there are devotionals for men, women, teens, etc. Learn something from God’s word each day! Here are some encouraging scriptures about God’s word. Daily Devotionals Are A Great Way To Start Your Day! Just to let you know, I am a big fan of devotionals, the reason for that is that it helps me stay grounded in God’s Word, Which is something indeed needed in this sinful world we live in today. Devotionals give me some structure for my daily quiet time with God. My quiet time with God helps me start the day off on the right foot. Classic devotionals and favorites of the Bible Gateway community. Are family devotions that important? How can I experience real intimacy with God? Is it essential for a Christian to have daily devotions? A daily passage from the writings of C.S. Lewis, one of the most beloved Christian authors of the 20th century (and author of the Narnia books). Explore the meaning of faith, suffering, and grace in this devotional journey with a WW2 pastor and martyr Dietrich Bonhoeffer. The classic daily devotional from the eminently quotable preacher. A daily excerpt from the sermons of the famous preacher Charles Spurgeon, drawing on the sermons he preached at the New Park Street Chapel. A daily excerpt from the sermons of the famous preacher Charles Spurgeon, drawing on the sermons he preached at the Metropolitan Tabernacle. Devotionals Are A Very Important Part Life! The devotionals that were written below are specifically for women. Every day, inspirational author and speaker Sheri Rose Shepherd imagines what a letter written from God to you would be like. An inspiring weekly devotional, drawn from the writing of Ann Spangler that introduces you to the women who made a difference in the grand story of the Bible. Weekly scriptural love letters, video devotions, and inspiration from author and speaker Sheri Rose Shepherd. A devotional that meets women where they are: looking for Christ as they navigate relationships, careers, marriage, motherhood, and more. Everyday insights for busy women from Proverbs 31 Ministries. A daily devotion that will refresh, restore, and renew busy women like you. Weekly insight to help you be the best Mom you can be! A 3x/week message of challenge and inspiration for women from a diverse group of writers. Daily Devotionals Will Make Your Day Start Right! Devotionals that were explicitly written for men. Meet the greatest heroes and villains of the Bible in this weekly devotional. Weekly biblical insights into a life lived righteously. Devotionals aimed at strengthening your marriage and family relationships. Join relationship experts Jim Burns and Doug Fields as they help you start planning now for your lasting union. Finances, in-laws, communication, forgiveness, sexual expectations–no topic is off-limits to you, and your significant other get ready to step from engagement into a life-long covenant with each other. How can you raise children who will live God-honoring lives? This devotional explores that question by looking at common mistakes parents make—and at ways to avoid them. A weekly devotional about family, relationships, and the challenge of setting limits in your life, drawn from the Boundaries book series by Dr. Henry Cloud and Dr. John Townsend. Each weekly devotionals features an exciting fictional story suitable for reading as a family and with young children. A weekly devotional is written primarily for kids—great for reading together as a family. Learn to better love, understand, and nurture your children and family with insight from Dr. James and Shirley Dobson. James and Shirley Dobson write a daily devotional that will strengthen your marriage. A short, easily digestible daily piece of insight for your family from the writings of Dr. James Dobson. Weekly insight into bringing your family closer to God and each other. Let Jesus Be The Start Of You Day! Are you a pastor, minister, or small group leader? If you hold a position of leadership in your church or community, these devotionals are written for you. Devotional insight from Os Hillman, with a particular focus on living out your faith in practical ways both at home and at the workplace. Daily devotional insights on Christian leadership from the beloved preacher and author A.W. Tozer. Devotionals that will inspire, encourage, and comfort you as you face life’s everyday challenges. Weekly wisdom and encouragement from the pen of beloved pastor and writer John Ortberg. Short, encouraging pieces of daily theological insight from the Tabletalk Devotions newsletter. A daily story, testimony, or reflection from the persecuted church. Charles Stanley Talks About Daily Devotionals! A variety of devotionals that explore different aspects of faith, Christianity, and everyday life. How can you be sure you’re making wise choices about your career, family, and finances—and avoiding the trap of temptation? In this practical study of the Book of James, Dr. Jeremiah shows how to prioritize prayer, persevere during persecution, and joyfully obey God’s Word. A weekly tip for healthier eating and living from Rick Warren’s bestselling book. Here are some weekly reflections from a social justice worker on weathering life’s trials. Do you know what you believe, and why it’s important? A respected theologian and pastor R.C. Sproul walks you through the fundamentals of Christianity. Daily devotional insights from theologian and pastor R.C. Sproul. Is it “reasonable” to believe in Jesus Christ? Examine the toughest questions and challenges to faith, and see how the story of Jesus holds up. The Bible can be puzzling. Questions often come to mind while you’re reading it. This devotional anticipates these questions and looks at how the most trusted scholars answer them. What does it mean to be caretakers of our resources, talents, and surroundings? Explore the vast topic of “creation care” in this weekly devotional. Weekly biblical insight and wisdom wrote especially for students and learners of all ages. Eagerly Wait In Hope On The Lord! Devotionals That Explore The Bible! Devotionals that dig into the text, and teachings of the Bible. Walk through the Bible in a year in weekly devotional installments, each of which looks at a significant Bible passage and reflects on its importance and value. A short, daily exploration of the Bible, written to inspire and encourage you as you live out your faith in your everyday life. Explore the many prophecies made—and fulfilled—throughout Scripture. Meet the greatest heroes and villains of the Bible in this devotional. Brian Hardin walks through the Bible one day at a time. Each day’s devotional reading are provided in both an audio and text version. A lovely assortment of audio devotions. Music and Scripture that will bring Joy to your heart and Peace to your Soul arranged topically using the NIV. Walk through the Bible with your children in this action-packed, radio theater-style dramatization from the 1599 Geneva Bible. Examine your life with the help of Journaling! Is it a good idea to pray before eating meals?